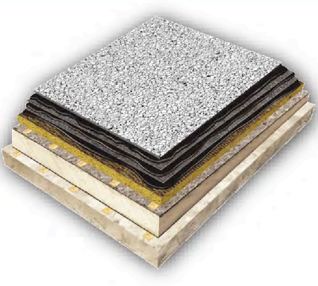 A Built up Roof is composed of multiple layers of roofing felts, typically 3 or 4, adhered with asphalt. •Highest level of redundancy, 3 to 4 layers. •Highest variety of installation methods. 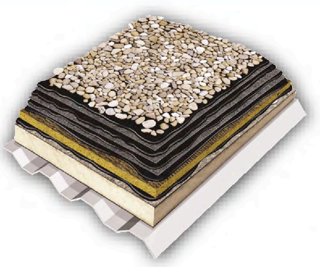 Can be set in hot asphalt, cold applied, torched in place among others. 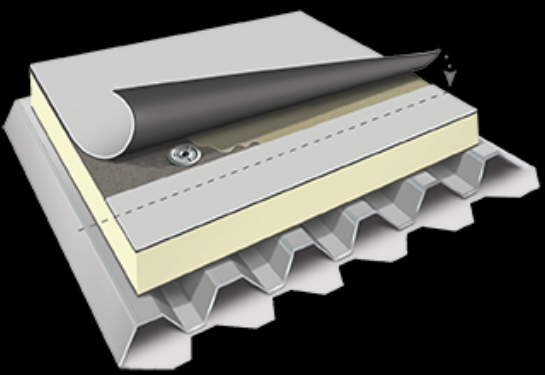 Single-ply roofs typically consist of a single layer of synthetic rubber (EPDM) or a thermoplastic (TPO or PVC) membrane. •Single thin layer gives is lowest puncture resistance and provides no redundancy for leaks. Any failure will be an immediate leak.